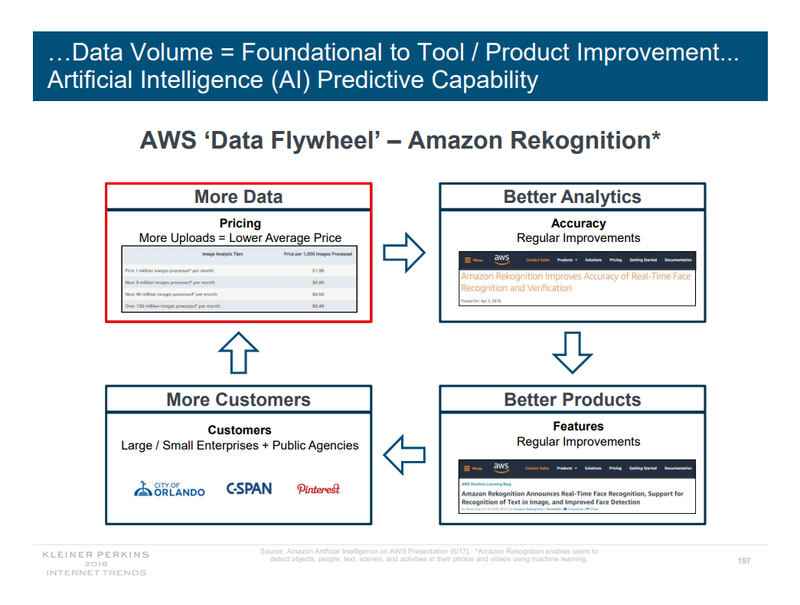 If you're a sucker for great market data like I am, you must have heard of Mary Meeker. Mary is partner at Kleiner Perkins Caufield & Byers. She's known in the Valley as a specialist in digital businesses and has been credited with having a deep understanding of what makes businesses succeed and fail. Earlier today, she released the 2018 version of her internet trend reports: 294 slides delivered in 30 minutes on the Code Conference stage. You might not have caught everything. Here are our highlights. Our data maturity survey attempts to highlight the industries that do best with their data. For instance, this year, we saw that, online and utilities players were leading with analytics centers of excellence while financial services and telecommunications were lagging. 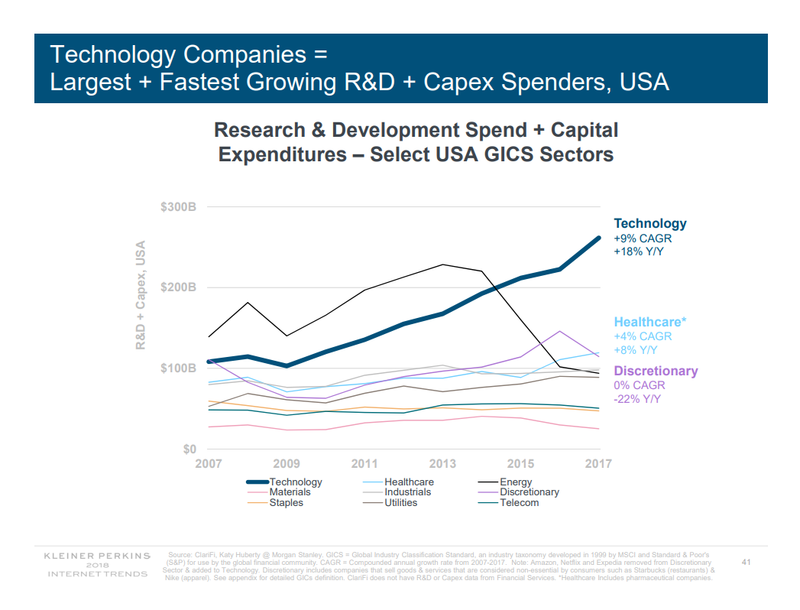 Mary Meeker's report highlights that, the R&D investments of most industries pale in comparison that of the the technology industry: Research & Development spend and Capex in tech showed a 9% CAGR and a 18% Y/Y growth. In non-tech, Healthcare leads (+4% CAGR, +8%Y/Y) while Energy takes a nose-dive...(see below). Earlier in May, Gartner released its Magic Quadrant for Cloud Infrastructure as a Service and the conclusions of the report shocked many: the number of vendors in the MQ went from 14 to just 6 year over year. The undeniable leaders were Amazon, Microsoft and Google. 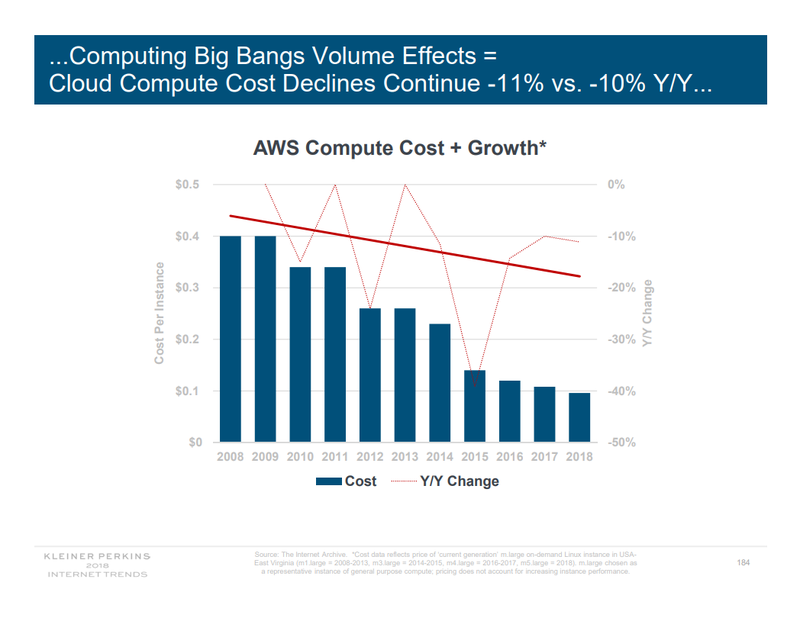 The Mary Meeker report picked up on that trend too: cloud computing cost continues to decline (-11% Y/Y) while revenue is in hyper acceleration (+58% Q/Q). 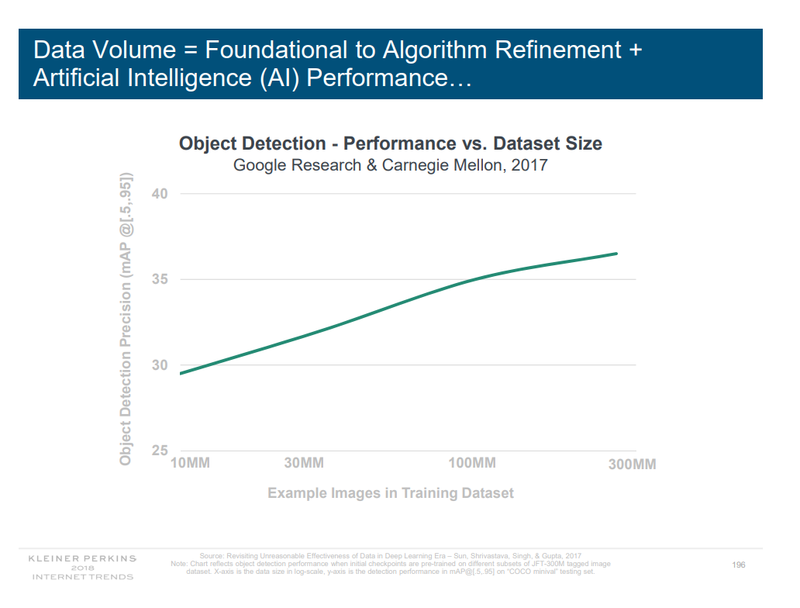 It's difficult to summarize so much data in just a simple blog. So, if you've got another 30 minutes, watch the talk below or check out the full presentation here. If you're curious to assess your company's maturity and find out how you benchmark with your peers, take the data maturity assessment here today.